Hello, I just wanted to get a few opinions on what makes the most sense for my next fly rod/reel choice. I recently got into the sport and have a 7 wt 10' rod for steelhead and bass. There are some good end of season deals around and i was just wondering an appropriate length/wt for my summertime river/stream trout intentions. I plan to fish the Grand river for stocked browns in Elora/Fergus often as I live near by, but also the Upper Credit which is a significantly smaller stream in most parts. I know everyone says 9 foot 5wt for a good all around starter, but i've used a 4wt and it makes fighting small trout very fun however most of these rods in my price range however are in the 7'6-8 foot range. Would this be long enough to make decent casts on the grand? Because this would be nicer than a longer 5 wt on the credit and I dont have the cash for a 5 wt and a small 2 or 3 wt stream rod. Any imput would be great! canadian tire sells a 5wt 9' okuma combo, i think its around $80, that should get you started. TempleForks Outfitter 4wt rod is only $100. Lefty Kreh sig. (slow action). I would say get a Fenwick HMX 5wt ,just for the extra power to make a long cast. Hipwader.com website has used stuff in the classifieds too. I'd definitely go for the 4wt. Length shouldn't be a problem for the grand. The grand will probably be the biggest river you fish for trout in this neck of the woods, and you've got a good rod for steelhead. I picked up a 4wt 8' okuma reel/st. croix rod combo at The first cast in Guelph (www.thefirstcast.ca) for about 130$. It is now my primary rod for summer trout and river bass. The thing has taken a good beating as many of the streams I fish require much bushwhacking to get into and move around in. If you fish brookies, a 5wt will be too heavy to enjoy hooking 10 - 12 inch fish all day long. I find even the 4wt is a little too much if I'm out strictly for brookies, and I'll be in the market for a new 2wt rod soon. Im also looking at fly rods, never have owned one but I went on a flyfishing trip out west this summer and caught the bug BIG time. I just cant decide if I want a flyrod for the little buggers, of if I want to give my float rod(s) a rest some days and chase steel on the fly. What's your budget? That will decide the quality you can afford. Like I said..if you can get a used Sage for $300, it's a bargain for a lifetime of fishing. Thanks alot for the help everyone! my budget was going to be around 250 for rod and reel (i know most of you will be like what the hell?) but im 20, poor and a student, and on top taking flying lessons so anything is an expense, but there is a good arguement for going to something like a sage and not having to upgrade for a while. Even if I go Sage with a cheaper (not cheap) reel then upgrade to a nicer reel in the future. I have lots to think about...thanks again. Another option is the Cabelas brand rods. I have one (it was my first) ran me about 170 US with a reel line and all and it was an awesome combo. I use it as a backup to my Sage (which will be in for warranty soon, Grrrr) and as a travel rod and wouldn't part with it. Good luck again in the search. The cheapest usable 4wt is made by Daiwa..Heartland series. Don't waste your $$$ on something if you aren't 100% sure that's what you want. I actually went by bass pro to pick up some steelhead stuff and had another look at rods/reels (ill buy one next pay check) and have actually decided i might spring for a sage launch in a 4 wt, only thing is I wish they made it in 8'6, its either 8' or 9' again ill be fishing the grand and credit and i kinda am leaning towards the 8' because it will be used for the upper credit, but I dont really know from experience weather this is the optimal length for some wider sections of the grand. You think a 4wt is going to be big enough for steelies? I am in the same predicament.. I want to fish steelhead this fall/winter but don't think my 4wt setup is going to be up for the task.. Perhaps I'll just buy a 7-8wt rod and use my current reel..
Buy it! You will do a lot of roll casting on the UC. I would get the 9 footer. The difference between the Grand and the UC is a lot more than the difference between an 8 footer and a 9 footer. Unless you buy 2 rods, one for the Grand and one for the UC, it will always be a compromise somewhere. Compromise least for the river that you will fish most often. One extra foot on the UC would not make much of a difference on the UC. I myself fish with my #1 favourite fly rod on both the Grand and the UC. It is a - 6' 6", slow action, line weight 3 or 4, 2 ounces. PS - no matter which rod(s) you buy, ensure that they are not "fast action" rods. Hold on, if a 6'6 works fine should the 8' be plenty for the grand? Or is a 9 footer really a better all around choice? It just seems long fishing a creek thats less than 15' wide in lots of places (credit), even tho a foot less isnt that much, i just thought it would strike a balance between the two. I like my 10' steelhead pole but just from using that it seems that it would be far more enjoyable using something of a more compact length fishing for smaller fish often on smaller water. Sounds like some Casting Lessons should be your first move. Then let a Pro Shop lighten your wallet for ya.. Yes, the 8’ would be suitable for the Grand. I think that a 9’ would not be better or worst than an 8’ rod for fishing the UG. You are a beginner and I do not know you or your abilities and so I suggested the 9-footer. The objective is to have the least number of compromises and fewer compromises in the area of fishing that you do MOST OFTEN. To me the UC was never more than a change of scenery even when I lived just north of Brampton. Twice a year was more than enough and probably once was enough. If I were buying a rod today, I would not buy because of what the UC is - small. But the problem is, most of the rivers/creeks within a 75-mile radius of Oakville are small – the exception is the UG. If I were to compare my 6’6” rod to a 9’ rod, I would have many compromises to overlook – does not mend line as well, does not roll cast as well, does not cast as far, rod is not long enough to make a backward cast over the growth behind, rod not long enough to keep line off the water when there is a strong current, does not cast larger flies and so on and on. But when I take the 6’6” rod over to the UC, this rod now becomes the almost perfect rod with few compromises, if any. But there is one human characteristic that can negate all compromises – “emotional feelings” - how does one feel toward a specific rod? This rod in my hand feels like an extension of my arm. Favourite fly rod #2 was the 1st good fly rod I bought - 7’6”, line weight 4 or 5 but this rod feels like I have a “tool” in my hand. The 6’6” was the second good fly rod bought (one year later) and it is my #1 favourite. When I see guys fishing with 10, 11, 12 foot rods, I say to myself – “Hull, I would need an SUV to carry such a long rod with me along the bank. I just like the feel of the 6’6” fly rod – period – along with all its compromises. The 6’6” rod is meant to do delicate fishing of small dry flies and this rod was perfect to fish the Saranac, North Branch Saranac, West Branch Ausable, the Battenkill and other similar creeks/rivers – when I first started out in fly fishing. It is also meant to fish larger rivers when the water is low and clear. One has to define what one wants out of all of this and stay within the definition and accept all its compromises and never complain when a certain not-so-good situation comes up. I think that I am not accepting any compromises on the UG with the 6’6”. I like it for what it is – light and short. Yes I do think that a 9’ is a bit too much on the UC in many areas if not most areas. There are places around Belfontain and Inglewood where there is growth along the bank. In many places the growth has formed a canopy of branches overhead. And the width is only 15 to 20 feet with the usual being less than 15 feet. If I were to raise the 9 foot rod up, I would hit the canopy. If I point the rod perpendicular to the bank, I find myself hitting the growth on the bank. There is one thing to consider about fishing a short rod. I think that I would not be able to control and land a 5 pound brown on the UG. So far, I have hooked only one trout that was way over 20 inches – it was on the West Branch Ausable and the #24 dry fly simply came out after 10 minutes. I do not worry about such a possibility. I would much more prefer to fish with a short and light rod – RIGHT NOW – AND WORRY ABOUT A LARGE FISH THEN IF THIS EVER COMES UP. But the so called standard length of 9 feet has RECREATED a new form of fly fishing. 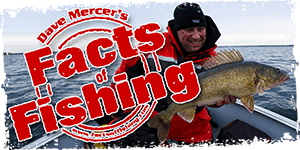 This method was used more than 2,000 years ago when fishers used a long branch with an attached line and a fly. The fisher would simply point the tip of his long stick to a probable location of a fish and then just lower the fly onto the water. Today, this is also done frequently on small fast streams with small pools and on narrow streams. I would say that this would be the type of fishing one would be forced to do many places on the UC. With my 6’6” and 2 or 3 feet of line out, I am able to cast the line and leader - even with the growth and canopy around me. But it would be out of place if I were fishing a wider and deeper river. Even I would not be happy on the larger rivers even if they hold resident trout. But I can use an 8’0”, line weight 7 fly rod for this. But a 6 weight probably would be better. If you still are itching to get a shorter rod, what can I say except – “do your homework and buy that specialized shorter rod”. You probably will never regret it. Perhaps after many years of use, you, still, will be as satisfied with a shorter rod as I am with mine. I have 3 other rods - but, but, but. I had two other rods that I gave away as gifts. Guess what, my very first good fly rod (7’6”) bought and the 2nd most favourite today is 40 years old. My second good fly rod (6’6”) bought and the #1 most favourite today is 39 years old. You will have difficulties in finding a 6’6”, 4 weight fly rod at a reasonable price. One is St Croix at $200.00 – St. Croix® Avid Series® 4-Piece Fly Rods. This one weighs 2.5 ounces and I do not know what moderate fast action is.. Mine is only 2.0 ounces. I thought graphite rods are light in weight. If you have more questions, just ask. Questions and answers are free – no charge. I've used an 8', 4 wt St Croix Premier Series with a lot of success. It goes for around $110 and has enough backbone to keep the false casting to a minimum, which is important if you're fishing in clear water.